How to fix Unidentified Network in Windows 10/8/7? Is your Windows PC or Laptop showing the unidentified network message? If yes then you are at the right place, here in this blog you will learn all about Unidentified network issue along with their working solution. This kind of issue generally occurs after installing any Windows 10 updates like Fall Creators Update/Creators Update/Anniversary Update OR upgrading old Windows system to Windows 10. Along with Unidentified Network issue, many Windows 10 users also reported about the several other issues, like no WiFi available after the update, WiFi adapter not showing up the issue, no Bluetooth connection, etc. Step 1: Open the Windows 10 ‘Action Center’ by pressing Windows key + A. 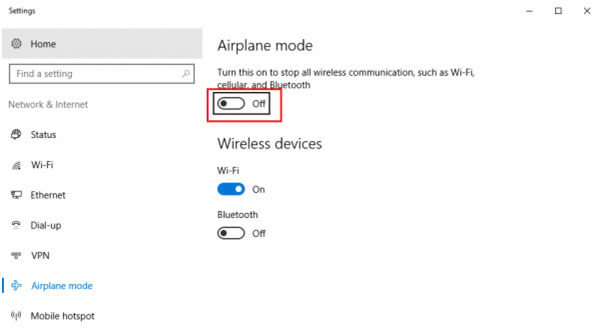 Step 2: Make sure that the Airplane mode is OFF. If not, then change it to OFF and after it check the internet connection once again. After updating Windows 10 system, sometimes the installed network drivers get outdated or faulty. So it is recommended to make sure that the Network drivers are Ok and in working condition. If not then update them. 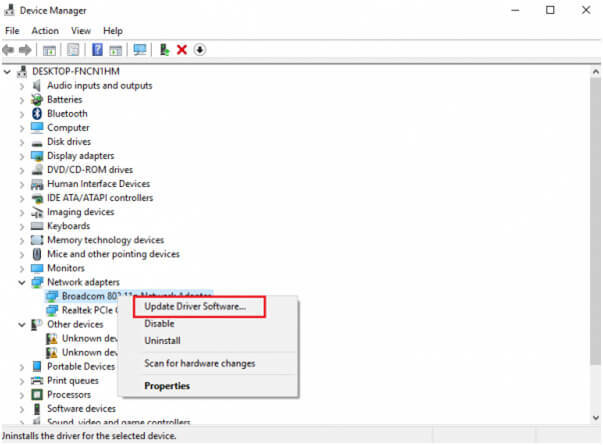 Step 1: Press Windows + X and click on the Device Manager to open it. Step 2: Search ‘Network Adapters’ and expand the list by clicking on the forward pointing arrow. Step 3: After it, right click on all the Network drivers and update them one by one. Step 1: Go to the Windows Search option and search for ‘Power Options’. Now, open the Power Options window and click on select what the power button does. Step 2: Click on ‘Change settings that are currently unavailable’. Step 3: unmark ‘Turn on fast startup’. Shut down the system and restart after 30 seconds. Step 1: Press Windows + X and click on ‘Network Connections’. Step 2: Right-click on the network connection (Ethernet or Wifi) and click on properties. Double-click on the Internet Protocol Version 4. 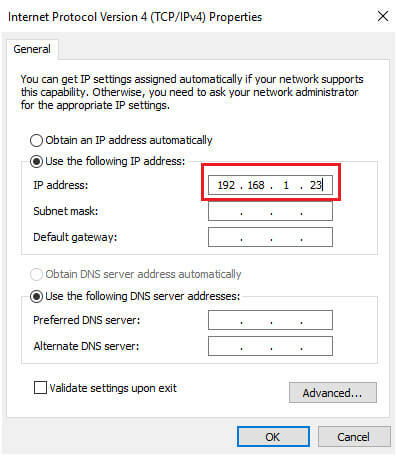 Step 3: Choose ‘use the following DNS server addresses’ and set but the preferred and alternate DNS server address to 8.8.8.8. First, you need to open the ‘command prompt’ with admin privilege. And run the below-given command one by one. Step 1: Again open the Network Connection, by pressing Windows + X and clicking on ‘Network Connections’. 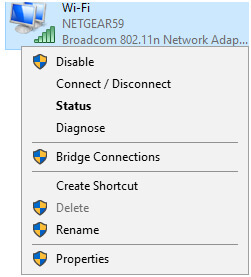 Step 2: Right-click on the network connection (Ethernet or Wifi) and click on ‘Diagnose‘. Step 3: It will run an automatic troubleshooter. Step 1: Right click on the network icon in the notification area to choose Open Network and Sharing Center. Step 3: Right click on the Ethernet or Local Area Connection. Step 6: Uninstall the conflict items on the list. 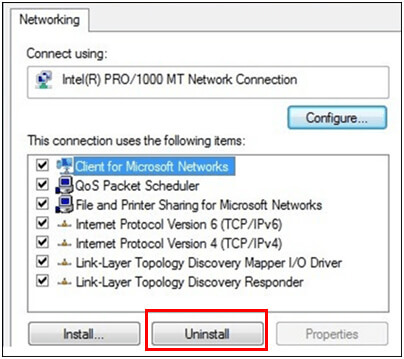 Step 1: Open the network connections by pressing Windows + X and clicking on ‘Network Connections’. Step 2: Now, you need to open the property section. To do this, right click on your network connection (Ethernet or Wifi) and click on properties. Step 3: Double-click on the Internet Protocol Version 4. 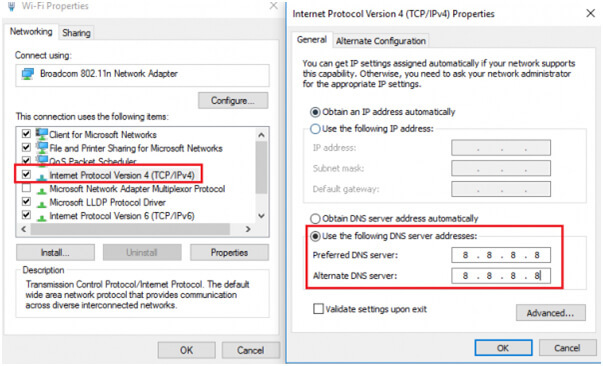 Step 5: Manually add IP address 8.8.8.8 to the Preferred DNS server and 8.8.4.4 to the Alternate DNS server. Step 7: Now, press the Win + X key and select the Command Prompt (Admin). Step 8: In the command prompt Windows you need to type ipconfig /release in the command window and press Enter key to release the IP. Step 9: Again, type in ipconfig /renew to obtain a new one. 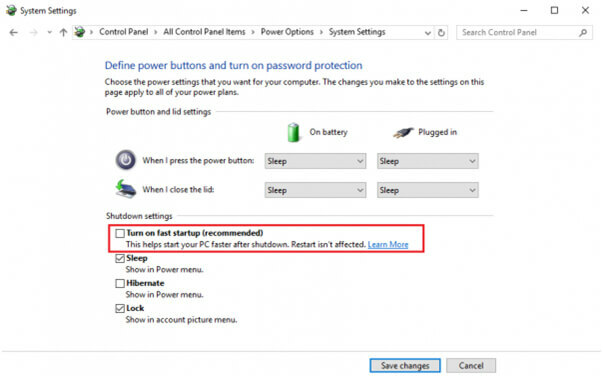 After applying all the steps, reboot the PC/Laptop and try to connect to the network again to see if the Windows 10 unidentified network issue has been fixed or not. Step 1: Turn off both modem and router but keep them physically connected. Step 2: Now, start the modem and wait for 30 seconds after all the lights turn green. Step 3: Again, start the router. This is also known as power-cycling. So, we have discussed several manual solutions to deal with the Unidentified Network Connection. And now it is the time to know about an automatic method through which one can solve this issue with ease. If you are unable to apply the above-given solution due to lack of knowledge OR issue is still unfixed after applying all of them then you need to apply a professional PC Error Repair Tool. As we know that the major cause of this issue is directly related to the network drivers, and we need to fix them in order to overcome the Unidentified Network Connection. Don’t worry, as you can easily fix all types of Windows driver issues automatically with the help of this repair tool. 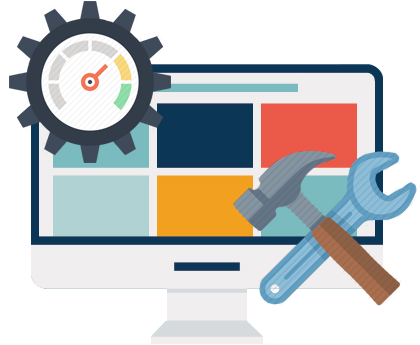 It is specially programmed to deal with the several system issues like driver errors, DLL errors, registry errors, BSoD errors and more. 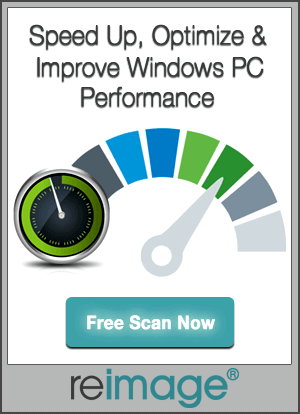 So, it is suggested to apply this tool once to enjoy your error-free and fast Windows system.